Many of the readers of my blog know that I have a passion for wine. I enjoy trying different bottles and new varieties, and of course always love reverting to my old favorites (Jordan Cabernet and Simi Cabernet Alexander Valley, I'm looking at you!). Between my personal wine tastings and years of restaurant work (serving and managing primarily), I have a ton of knowledge about wine. Whenever my husband and I go out to dinner and order a bottle of wine, he trusts me to evaluate the wine list and select a bottle both of us will enjoy. However, this process isn't always as easy for others. Often, there may be occasions such as a large business meeting, a date, or dinner with the in-laws, in which you want to appear to be knowledgeable. Today I'm going to pass on some tips on how to order wine- either by the bottle or by the glass- while at a restaurant! 1. Decide on your budget. Whether ordering by the glass or selecting a bottle, the first step is always deciding how much you would like to spend. Nicer restaurants with expansive wine lists will usually have glasses of wines priced anywhere from $8-20 and up, and bottles beginning at $30 and extending into several hundred, or even thousands, of dollars. It is not necessary to spend this much on wine and get a great bottle though! Select a price range, and then examine the bottles/glasses listed in that. 2. Know flavors you like. The first and easiest question is red, white, or sparkling, as most wine lists will be broken down into these categories. I enjoy most wines, but always enjoy a lighter, slightly fruity red wine when dining out. Conversely, my husband likes darker, full-boded reds. Knowing what each of our different tastes are helps us to find something in the middle that will please both of us. 3. Do your homework. If you know, or suspect, that you will be in charge of ordering wine, take the time to look at the restaurant's wine list ahead of time. Most wine lists are available online now, and while every bottle may not be listed, you will get a general feel for the list. With just a few minutes of research, you can select a couple of ideas ahead of time, allowing yourself to focus on conversations at hand instead of the wine list while at dinner. 4. Ask questions. Don't be afraid to ask your server or bartender for help. Most of the time, they have either been extensively trained in wine, or will be able to find somebody to assist you. They are the ones who have been working with the wine list for months (sometimes even years) and will likely have a wealth of knowledge they are willing to share with you. Tell your server the types of wine that you enjoy, or if you are with a group of people state that you are looking for a crowd-pleaser. Most servers will know many wines that are well-liked by a majority of people, and will go with one of these. If you don't want to appear clueless, a crowd-pleaser is always a great way to go as you know others will enjoy it! 5. Be as specific as possible, or if you are shy give hints. Remember that price range I mentioned? 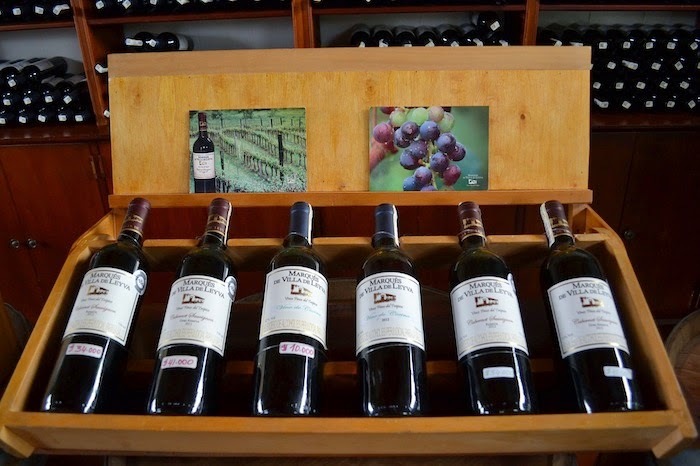 If you don't want to communicate in front of the group what you will be spending, feel free to find a wine in your price range, and when communicating with your server say something like "I'm thinking a wine similar to this" and point to the price of the wine. This should subtly communicate to the server the price point, without them having to guess. Otherwise, simply tell your server the price range you are thinking of. Always be as specific as possible when communicating what type of wine you do or do not like. 6. Make your selection. At some point, you will have to make your selection. Once you do this, confirm to the server the bottle you would like, and you are (almost!) in the home stretch. 7. Use your senses. Once your server returns with the bottle of wine, you have a few more steps until you are in the home stretch. Generally, they will place the cork in front of you while opening the bottle- whatever you do, don't smell it! Smelling the cork does nothing. In general, the cork is placed on the table for you to verify (with nicer bottles) that the description on the cork matches the label of the wine. Additionally, it is there for you to ensure the cork is wet- this informs you that the wine was stored correctly on it's side. The server will pour you about 1 ounce of the wine. Swirl this in your glass, and then tilting the glass towards you, smell from the far side of the glass. Assuming the wine smells nice, give it a taste, and once approved let your server know. 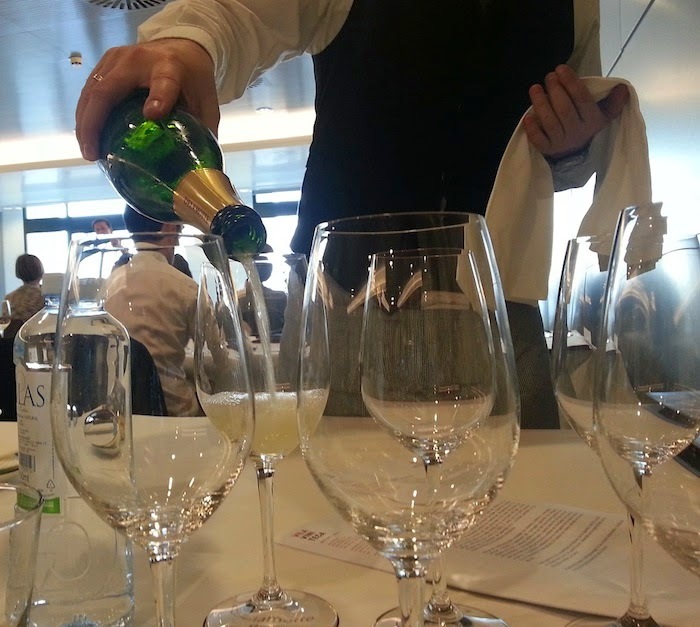 They will pour glasses for each person at the table, and from there you are set to enjoy your wine for the evening! trust your server, they know what they are doing! -If you are ordering a bottle of wine that you are not familiar with and it is also sold by the glass, don't be afraid to ask for a taste. However, limit yourself- no server wants to run back and forth, getting you a taste of every different wine. -If you order a bottle of wine, you can't send it back because you don't like it (in general). Bottles of wine can only be sent back if they have actually gone bad, not simply because you don't like the taste. As such, trust both your judgement and the server's judgement. -Order what you like. If you aren't a wine person, chances are one more glass will not change your mind. Stick to your beer, martini, whatever it may be- this will keep you happy, after all! -Restaurants and servers want your business tonight, and next week. As such, if you ask for a recommendation, your server will give you the best recommendation they have. After all, they personally want you to enjoy your experience and tip them- perhaps even order another bottle. Both the server and restaurant want you to come back, so they really will do their best job to provide you with a wine you like. Don't worry about them just selecting the most expensive wine available- after all my years in restaurants, I have never seen or heard of anyone doing this to a customer. 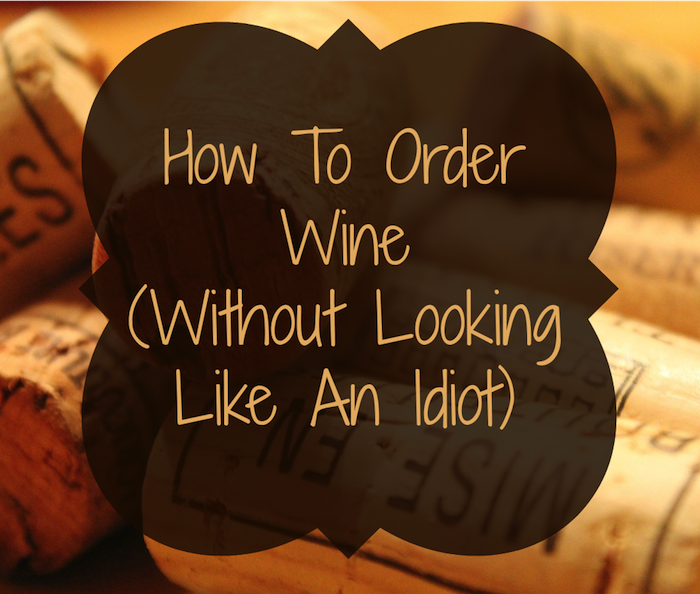 Those are all of the tips and tricks to ordering a bottle of wine at a restaurant! Keep in mind, these are general guidelines. What are your best tips for ordering wine at restaurants? Thanks for the tips! I never know what I'm doing when I go to order. Glad they helped, Courtney! I love wine, so always enjoy helping others out with it. Thank you thank you thank you for this post! When in Europe I was completely stumped. I am not yet legal in Canada, so I have not had the chance to discover my "regular" order or even what I like. I guess I have to start asking questions and not be afraid to look like a newbie aha! Ordering wine at a restaurant is definitely not easy. Sadly, I usually go for price, followed by the name of the wine. Likewise with "how pretty the label is" when I'm buying in store. I really need to ask the opinion of the sommelier or waiter more and pair with what I'm having for dinner instead. Love these tips because I am definitely one of those people who feels clueless at a restaurant! Thanks Julie! I love wine, so always enjoy helping people out. Hopefully these will help you feel less clueless! I am like you and love wine but I've found I've fallen into a slump and have been drinking the same few wines. This is going to help me expand myself. Stopping by from the Sharefest! Thanks, Sheryl! I usually drink the same wines while I am at home, but love experimenting when at restaurants! Thank you so much for this post! I've never ordered wine at a restaurant because I know nothing about it! Your tips are definitely helpful! :) Pinned for later! I'm glad I could help you- hopefully you will find a great glass/bottle next time you go out to eat! I definitely agree- servers are usually more concerned with making you happy than racking up your tab. Happier customers are better customers! This is a great post, informative and easy to follow. I actually only drink organic wine now. I've found if a restaurant doesn't sell organic, I will bring my own and pay a corking fee. Thanks! I haven't been a huge fan of organic wine (the ones I've tried) but its all a matter of finding the perfect bottle for me!